• A legal blast: John Hinman is one of the most respected attorneys in the country in liquor law. So it’s a big deal that he said: “The wholesalers are dedicated to maintaining their position as mandatory middleman at artificially inflated margins. This is why they continue to perpetuate the fallacy that the three-tier system is necessary to protect the public.” It’s also a big deal that he said it in a post on the wine-searcher.com website, where the stories usually aren’t quite so outspoken. But wine-searcher exists to help retailers sell wine, and they often do so by bypassing the distributors and wholesalers who make up the second tier of the three-tier system. So consider this a shot across the bow of the distributors, and let’s watch and see what happens next. 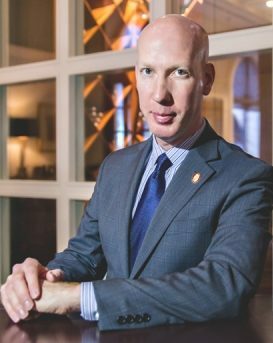 • Well-deserved: I’ve known sommelier James Tidwell for almost my entire career as a wine writer, and few people understand wine or love it the way James does. So it’s not surprising that he has been named one of four finalists for the Wine & Spirit Education Trust’s prestigious Outstanding Alumni Award. The trust offers wine and spirits education for professionals throughout the world, and its graduates are some of the biggest names in the restaurant and sommelier business. The award will be given Jan. 22 in London.